I’m in Chicago, covering the rally and big speech by Obama (still not determined whether it will be a victory speech or a pep rally for disappointed Democrats) tonight in the city’s front yard: Grant Park. On TIME.com/video, we’ve had several videos coming in, including post-poll interviews with voters in Colorado, Florida, Ohio and Virginia. I did a piece about Youngstown yesterday. Richard Corliss listed his favorite political movies. 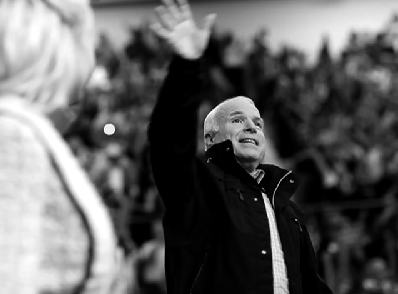 And the work of the two photographers on the campaigns (Christopher Morris with McCain and Callie Shell with Obama) is featured in “final days on the trail” videos. Half My Life Ago, a Murder.